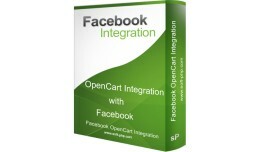 It integrates OpenCart or JooCart or WooCart with facebook. You can sell your product in facebook page's tab or application. Demo Site: Facebook Demo Store Features JooCart/OpenCart can be added as a tab in your facebook pages User ..
Árukereső Trusted shop integrállás! Open Cart 3.x verziókhoz. FONTOS: Mielőtt tlepítené! A főkönyvtárban lévő config.php.-ba ezt a sort illesze be a kulcs szót pedig cserélje ki a saját kulcsára, majd mentse el a filet! ..
Amennyiben rendelkezik a szamlazz.hu rendszerén belül fiókkal és szeretné számláit könnyen és kényelmesen átadni web áruházából ezzel az illesztő kóddal megteheti. 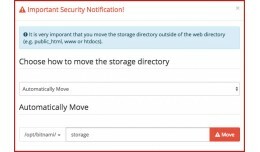 Fontos: Az API Curl-t használ SSL kapcsolaton kersztül! M.. 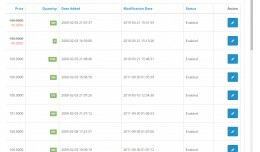 Display Date Added and Modification Date on Prod..
Are you still thinking why your online business needs its own mobile app? Well; would you like to be visible to your customers all the time? 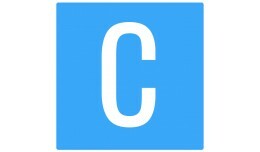 Want to create a brand name and brand recognition? 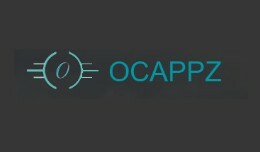 Wish to acquire more customers and generate more inco..
Opencart Native Mobile App - Android and IOS 2.0..
ABOUT APOLLO What is Apollo? 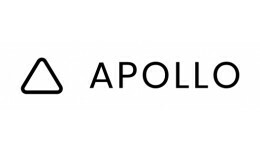 Apollo is an intuitive all-in-one online invoicing software allowing you to create, edit and send professional invoices with ease. 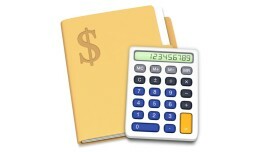 With Apollo, it’s easier-than-ever to create professional invoices. Features.. 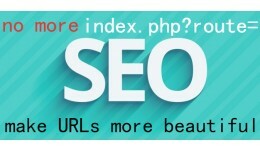 Cancel parameters route and filename index.php Make URLs more beautiful before http://www.demo.com/index.php?route=account/register now http://www.demo.com/account-register Attention If you don not edit SEO URL url wi.. 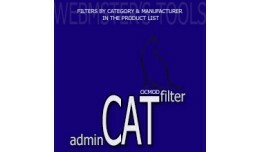 This mod will change the default behavior of Opencart and always display the category structure in the product breadcrumbs no matter how the product page was found. For example, if you searched for a product and clicked on the product, the defa.. Always display categorys/subcategories in breadc..
Robots.txt What is a robots.txt file? Robots.txt is a text file webmasters create to instruct web robots (typically search engine robots) how to crawl pages on their website. 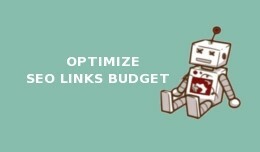 The robots.txt file is part of the the robots exclusion protocol (..
OPTIMIZE SEO LINKS BUDGET - Dynamic robots.txt +..
Security issues: Move the storage folder as suggested from opencart. We created a workaround for those that don't have folders under the root one. 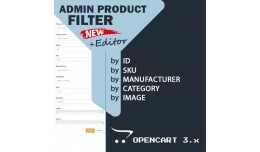 If you still want to not move the folder and use this mod to disable the popup make sure to..
Admin Product Filter by Manufacturer, Category, SKU, Image and Product ID + Editor 3.2.1.2 This extension adds the ability to filter products in Opencart administration panel by Manufacturer, Category, SKU, Image and Product ID. Adds ID produ.. 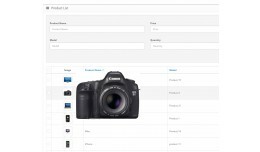 Feature: ======== You can disable right click on your store from admin panel. 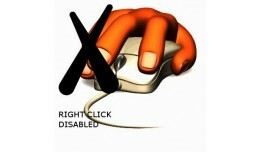 You can disable right click on all images only. 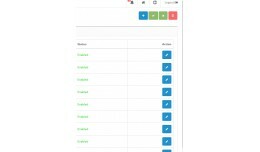 You can set alert message(Multi language) from admin panel, when customer right click. You can disable extension.. This extension added images dimensions to all store images. For example Before: After This helps increase the site on google rank. 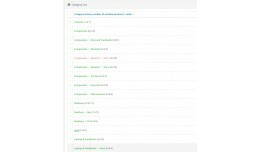 (Read more) An extension that protects your store products from being copied by any other website au..